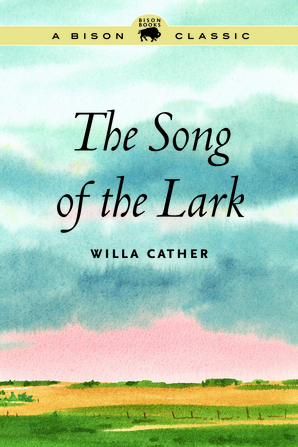 Willa Cather’s third novel, The Song of the Lark, depicts the growth of an artist, singer Thea Kronborg, a character inspired by the Swedish-born immigrant and renowned Wagnerian soprano Olive Fremstad. Thea’s early life, however, has much in common with Cather’s own. Set from 1885 to 1909, the novel traces Thea’s long journey from her fictional hometown of Moonstone, Colorado, to her source of inspiration in the Southwest, and to New York and the Metropolitan Opera House. As she makes her way in the world from an unlikely background, Thea distills all her experiences and relationships into the power and passion of her singing, despite the cost. The Song of the Lark presents Cather’s vision of a true artist.